The Blodgett Zephaire-100-G is a commercial convection oven of heavy duty construction. 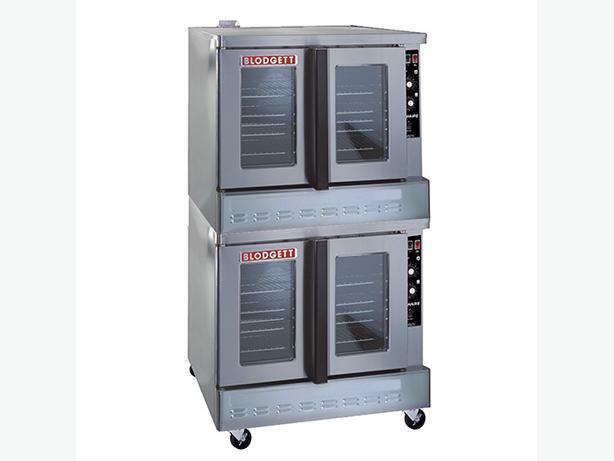 It is known as a double deck oven, with a stainless steel exterior. The unit has dual pane thermal glass windows and dependent doors. It has solid state manual controls. DIMS: 381⁄4"Wx367⁄8"Dx705⁄8"H including 6" legs with a standard depth 29"W porcelain interior. This restaurant convection oven, holds five 18"Wx26"D pans. The double deck Blodgett Zephaire-100-G requires a 120V connection for the two speed 3⁄4 HP fan. This model has a +200°F to +500°F temperature range. It has 11 rack positions and includes five racks and includes a cord and plug. For more information, text, email or call: 604-679-1388.